You are welcome to AirCoolers.ae! We are the leading seller of air coolers, patio heaters and misting fans for residents and industries in Dubai, Abu Dhabi, and UAE. We provide homes, restaurants, industrial factories, warehouses, and events with evaporative air coolers, misting fans and portable air conditioners (Mobile AC) for indoor and outdoor use with various designs and brands to feel the best of coolness and freshness at any time. We also sell patio heaters for optimum warmth during winter when the cold becomes unbearable. We are always at your service. We understand that high humidity can be frustrating and have serious effects on human health especially in asthmatics and people with heart problems. With our evaporative coolers, the days of unpleasant evening, discomfort and hazy conditions are over. At Desert-cooler, we bring you the comfort you desire and let you enjoy all outdoor activities for as long as you want. We are setting new standards in the sale of cooling systems and patio heaters of all kinds, and we maintain the standards through customer service, reliability and buyers satisfaction. We also have a rental service that delivers our products at your door step for your wedding, functions, parties and any other outdoor event. We have dedicated staff that will attend to your requests and treat you well. You can also contact us through our email or put a call through to us. You are fee to access our website at any time of the day, and you can also reach us by phone from wherever you are in Dubai or Abu Dhabi. If you need any help in selecting the right products, we are always there to put you through. With our wide range of choices for Evaporative Air Cooler (desert or Swamp Cooler). All Our Coolers are high performing air coolers, with beautiful Designs. By using Evaporative air coolers for outdoor events and activities, you can achieve lower a temperature and more conferrable environment for your guests – an excellent money saving solutionWehave all the evaporative cooler spare parts & all accessories you will need to keep your outdoor space comfortable throughout the Dubai hot Summer. Our Misting Fans has been designed and built with unique and effective operation for use with almost any kind of outdoor event . our Misting fans have also been used at many other projects like: fog effect decoration, mist cooling , industrial humidification , supermarket food humidification, and odor control applications. we offer the largest variety of different types and configurations of Misting Fans. Owe will design a Misting Fan System for your patio, restaurant, resort, factory, warehouse or sporting event. we have wide range of outdoor patio heaters GAS and electrical with variety of models to chose from. 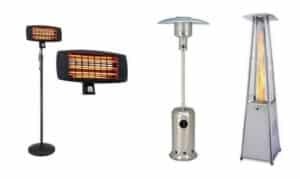 we have so many Patio Heaters for sale or rent, including Gas Patio Heaters and electrical outdoor heaters. We want to make sure that you’re getting the right heaters for your application, whether the model you looking for , the Electric Patio Heater, Commercial Propane Patio Heater we have it.